Genesis 120 specializes in Aircraft, Flying, and Aviation Set Locations for film, video, and print productions. Over three dozen owned and contracted military, antique, vintage and general aviation aircraft are available for aerial and background filming at any airport. 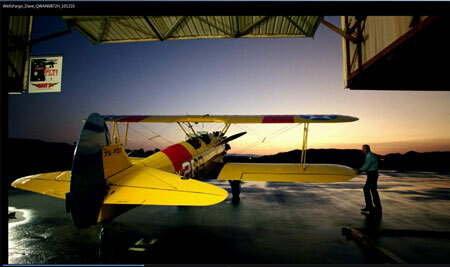 We have established bases on four Southern California airports with numerous hangars for set and background filming. Jeff Grismer, our chief pilot, is a member of the Screen Actors Guild. We invite you to explore our links to see photos of our hangars, airports and pilots, and to browse through our gallery to see our owned inventory of airplanes. A Subsidiary of a California Corp.